We’re often asked to describe the difference between a credit union and a bank. It’s a good question because on the surface, they might seem the same. Credit unions and banks offer similar services, such as checking and savings accounts, loans and mortgages. They’re both federally insured and equally safe. Yet despite the obvious similarities, there are very important differences. Credit unions offer specific advantages not available at banks. First, credit unions such as Community Financial are non-profit organizations owned by the members. Therefore, instead of profiting for shareholders and investors, the credit union returns profits to its members in the form of lower loan interest rates and higher dividends. Fortunately, becoming a member is as simple as opening a $5 savings account. Supporting the local community is another important advantage of choosing a credit union. Currently, Community Financial is celebrating its 60th anniversary with a “Summer of Sharing.” The credit union is donating $1,060 every day for 60 days to support local charities, community groups and school groups. Learn more and nominate a recipient at summerofsharing.org. Selecting a credit union versus a bank is up to you. Choosing Community Financial brings the added benefit of knowing your choice will benefit you and your community. For more information, visit one of our convenient locations or call us at (877) 937-2328 and we’ll be happy to assist you. My wife and I needed to do some landscape work for our home. I made the mistake of trying to do it myself instead of hiring a professional. I ended up doing more damage than good. I thought it was going to be easy. We ripped out 18 bushes and needed to remove 10 yards of rock and dirt. 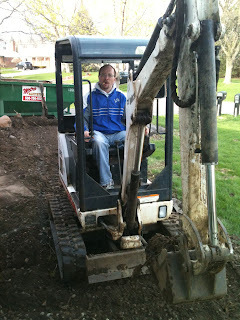 I tried to dig out the rocks with a shovel but realized I needed something biggerand rented a bobcat. It was my first time using a bobcat. I ended up ripping a six foot tall lamppost completely out of the ground. I learned my lesson. I needed a professional to help me. Sometimes hiring a professional can be costly. Fortunately, home improvements are a worthwhile investment that Community Financial can help finance. Home Equity Line of Credit. This has a low variable rate based on the current prime. It is a replenishing line of credit that you can draw against as needed simply by writing a check. Interest may be tax deductible and it has an interest-only payment option. Home Equity Term Loan. This has a fixed rate with a set term. It’s best for larger projects; funds are taken all at once and your monthly payments are set. Interest may also be tax deductible. No Equity Home Improvement Loan. A great option for homeowners who may not have equity in their home. This loan has fixed rates and terms up to 48 months. Also, a Community Financial Platinum Visa® is a great way to finance smaller do-it-yourself projects. Community Financial is your local expert that can run the numbers and help you decide the best way to finance your dreams. At our house, we cleaned up the mess and our house looks great. But I learned my lesson to hire a professional for future home improvements. If you have any questions or concerns about home financing, please contact Community Financial at (877) 937-2328. We will be happy to assist you. 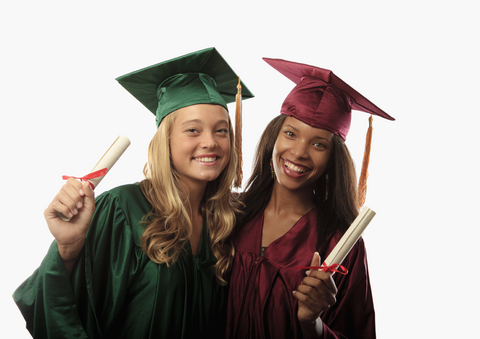 Its graduation time and high school seniors have been anxiously waiting for it all year. Their lives will change dramatically if they are going off to college in the fall. Here are a few things they need to think about before they go. Today many college students graduate with significant student loans; as much as $200,000. This debt is permanent and may take decades to pay off. You need to understand student loans cannot be discharged by filing bankruptcy; the only way you can get rid of this debt is by paying it off. A great rule of thumb: Don’t borrow more than your anticipated starting salary after you graduate. Grants, Scholarships and Federal Work Studies are great ways to pay for school, because you do not need to pay them back. But if you need student loans in order to afford college, the best deals are federally subsidized loans. There are also unsubsidized federal loans and private loans but these are more expensive. To see what you qualify for, you’ll need to fill out a FREE FASA statement annually at http://www.fafsa.ed.gov/. Do this even if you do not think you’ll be using loans – schools look at these when awarding scholarships too. 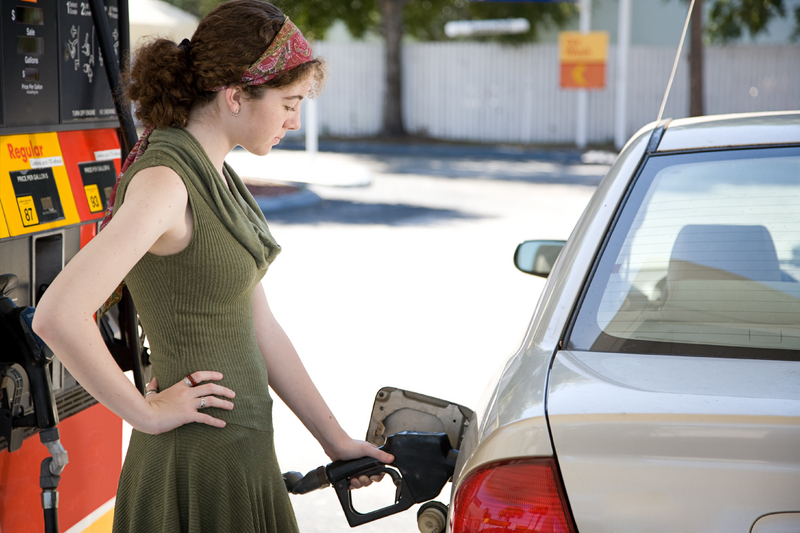 Be careful to only borrow the amount you need and you should avoid using credit cards to pay for school. Consider going to a community college for 2 years first. You can save as much as 98% over going to a state college. If you decide to go to community college, contact the school you plan to transfer to and make sure your credits will transfer. You will avoid wasting money and re-taking classes at your next school. If you have the option to commute, you can save thousands on room and board. It is expensive to live on campus; on average, you will save $9,800 a year. Working on campus will give you some additional spending money, and as long as you manage your time, you should be able to maintain high grades. College is an exciting time in the life of all young adults. Make the right choices so you’re not paying for it decades after you graduate! Good Luck!